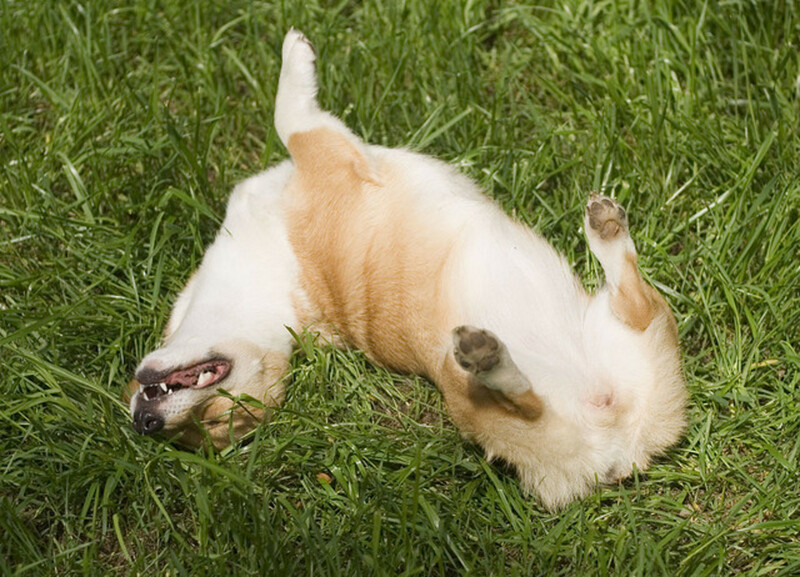 This lesson is part of a series on dog grooming, which you can find at the bottom of this page. Learn about different types of scissors and clippers, how to choose the correct tools for your pet, and what is worth your money. In my experience as a pet groomer, I have learned to speak the language of groomers and interpret my clients' needs and desires. It sometimes be hard to understand the terms groomers use, so here are some common cuts defined and shown in pictures. Learn about different shampoos and when, why, and how to use them. 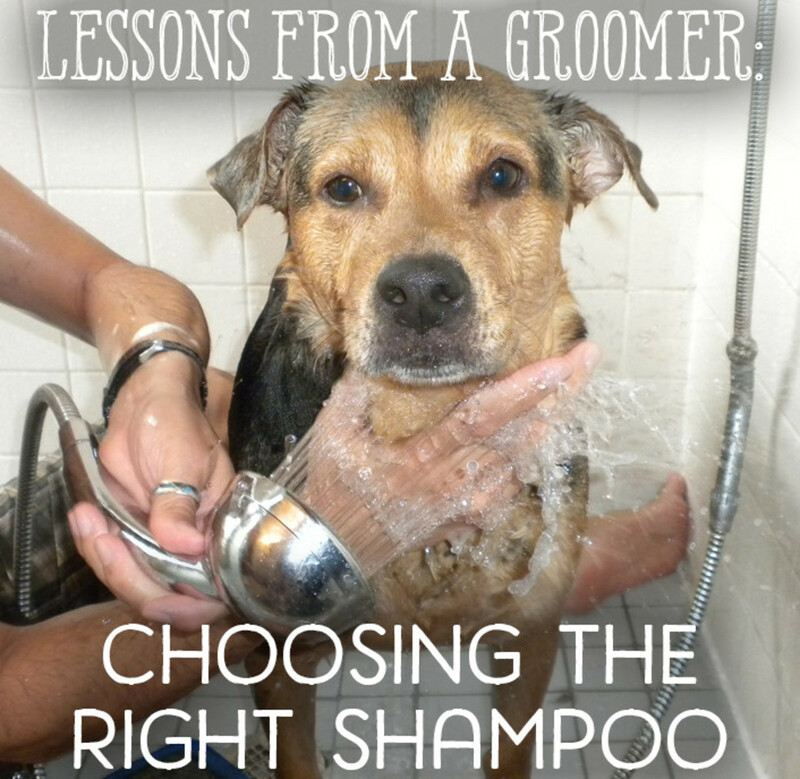 You don't have to be too picky about the kind of shampoo you use on your dog, just make sure to get a shampoo that is made for dogs, not humans. 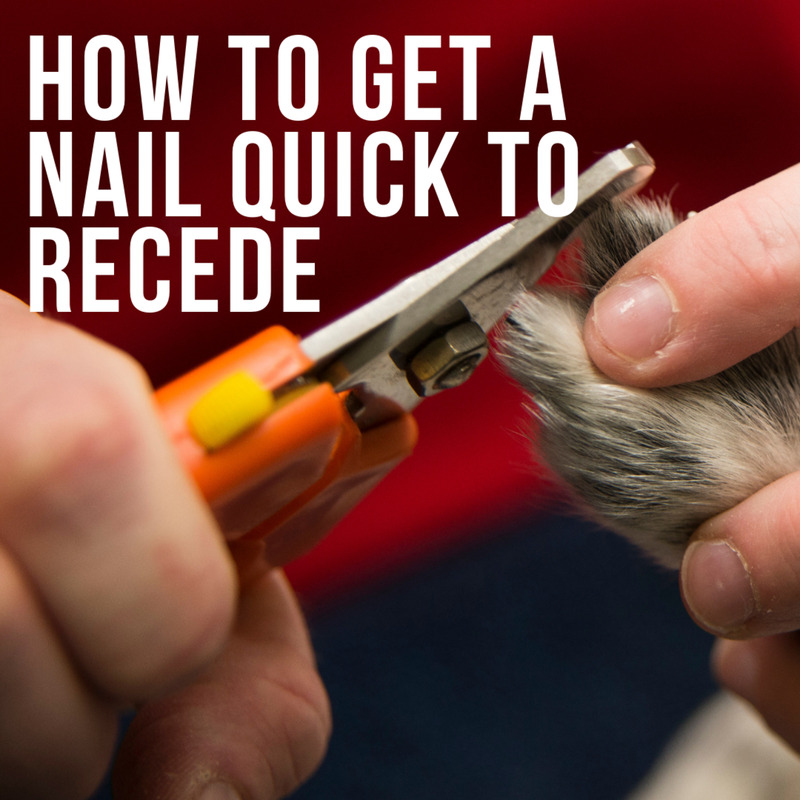 In this lesson, I will describe clipping the nails, cleaning the ears, and giving the bath. 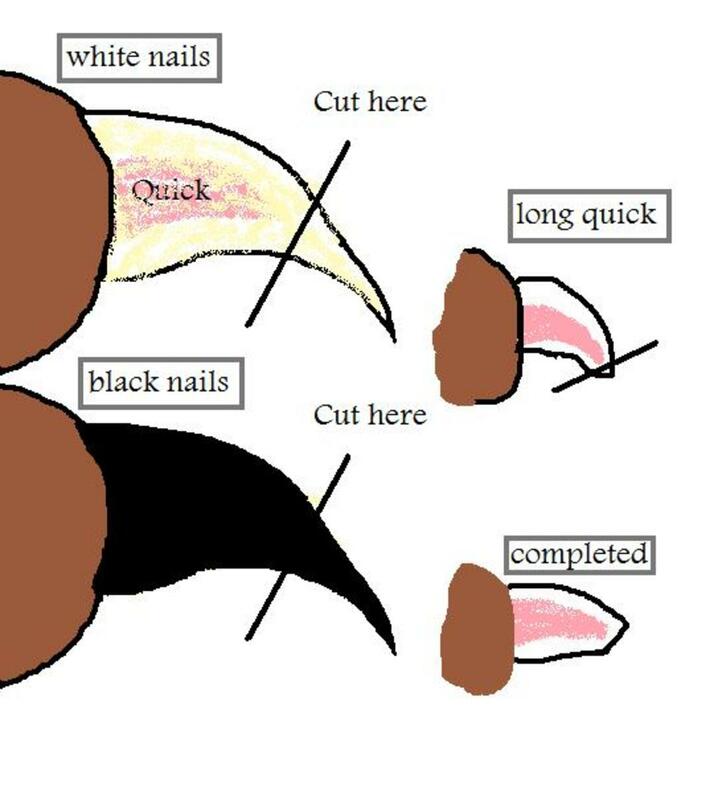 Nail clipping is hard to describe, but I will do my best. To blow dry or not to blow dry, that is the question. Well folks, the answer is: to blow dry. Why you ask? For several reasons. Ms. Willow, this knowledge is invAluable to me others like me. I recently got a Scottie mix. ( she so much fun). I like the diy thing. Have clippers.. and couldn't get the line thing right on the skirt. Thank you for sharing. When I groom again. I now feel more informed about grooming my dog. (. She not social, and has bit a groomer on the first try.! This, I gotta do it. She better now.) I got her fir my protection! Anyway, thanks again. I look forward to reading more of ur pages. Robin in tx . 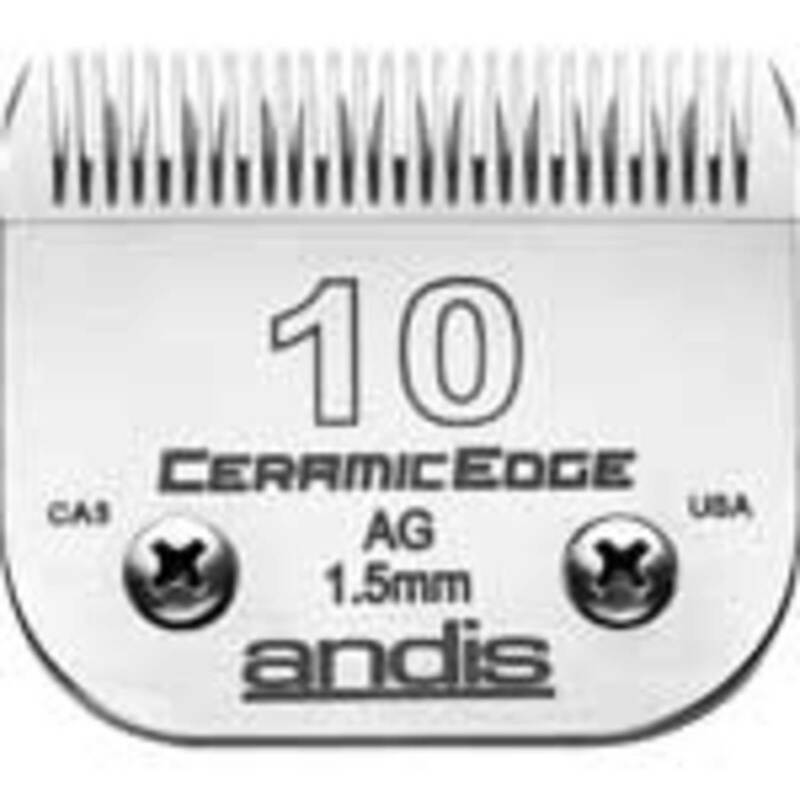 bought Andis clipper # 10 blade, worked fine day one....never was able to use it a second time...hair get's stuck and NO cutting at all. should I by a new set of blades EVERYDAY ? ? ? Awesome instructional tool. Thank you sir. I just can't thank you enough. 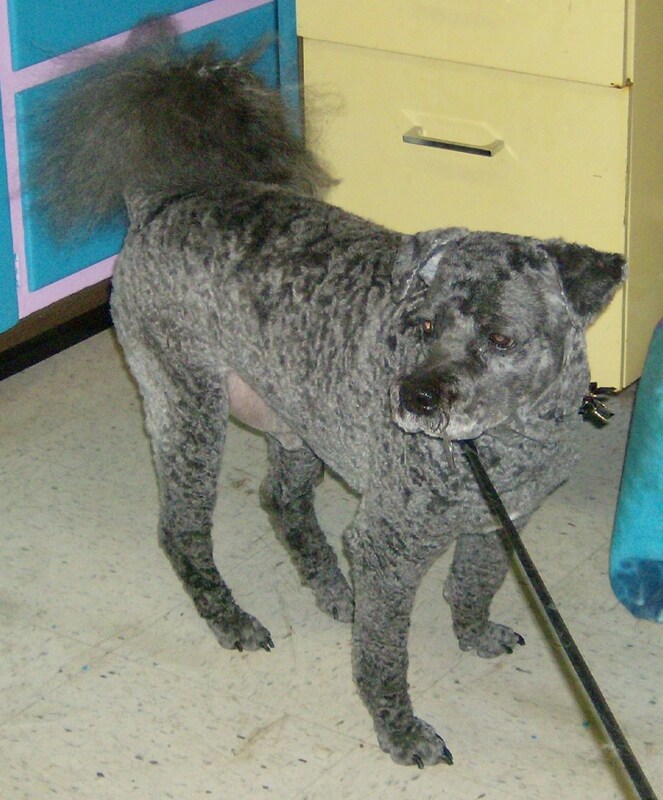 I had a wonderful groomer when I lived in Utah, but I moved to Florida to be closer to my kids and grandkids. I took my Yorkie to a recommended groomer, left a photo of how I like him groomed, even telling them what comb my groomer used. It took 6 1/2 hours from the time I took him in until they said he was done. He looked NOTHING like the photo. When I commented, their reply was, "you wanted him to look like the photo?" That was the final straw. I will gain experience as I groom him and won't care if I screw up a time or two. I'll just never have him professionally groomed except in case of dire emergency. You just gave me the information I needed to begin. You answered 90% of my beginners questions. I am sure my Yorkie will be much more comfortable in my inexperienced hands than he would have been without you. I thank you and Boomer thanks you. Great info! Very helpful hank you! Thank you so much - such a great help! Hello, I have just bought a WAHL KM2 dog trimmer for my maltese-shitzhu. I don't like a really short cut - but am not sure about the numbers of the cutters - does, e.g. a #4 leave longer hair on than, say, a #10? I've been meaning to write back to thank you again for your great advice and let you know how it went. I gave my Eskie her first home haircut and it turned out well! 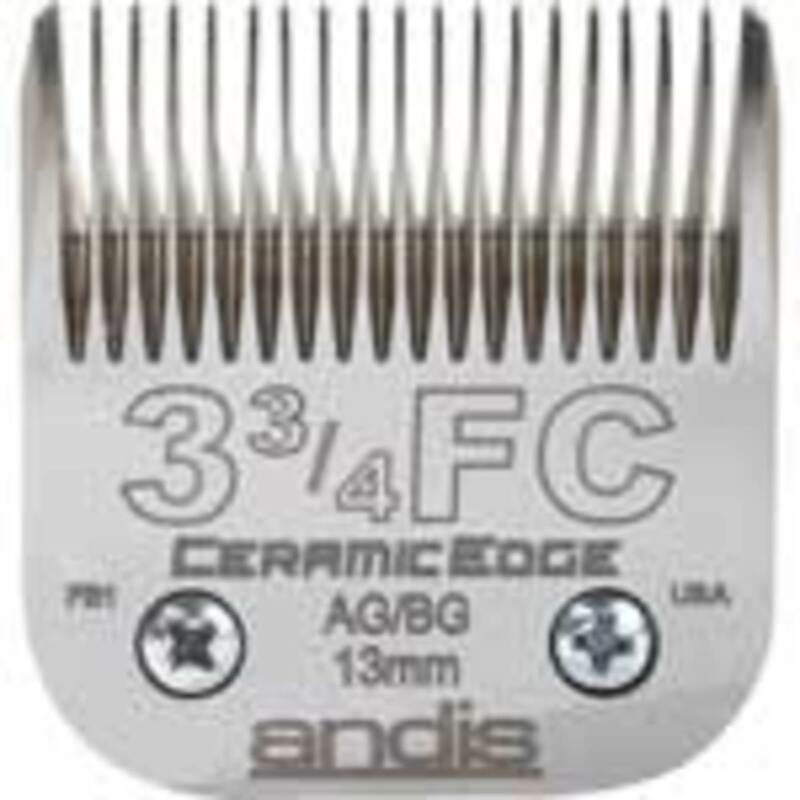 After calling Pet Edge they recommended not getting their fastest clippers when they heard I'd not used clippers before. They said for my skill level my clipping would likely be pretty slow going and with their highest speed clipper set at the highest speed I'd likely be dealing with hot blades too frequently. So I bought the the AGC2 (still a two speed but not as fast) and it saved me some money to spend on blades. I went ahead and bought 2 #5 skip tooth blades, figuring if they got hot I could trade them out. As it turned out though they only sent one blade as the other is on back order. Anyway, the first initial cuts I was so nervous and unsure as to how much pressure to apply as I ran the blade across her. But pretty soon as it became evident I wasn't going to cut her as easily as I'd feared I started to get the hang of it. Doing her back and sides was pretty "easy" the trickier part is everything else--ha-ha! I knew I needed to be extra careful anywhere there are skin folds (her flabby jowl area, under her arms, etc) so I was much more tentative and careful to make sure her skin was pulled tight to not catch it. I also made use of the #10 blade in places (tummy, back end). After my first go-around I had to laugh at how rugged she looked. We gave it a break, I called a friend for an hour then went back at it, cleaned her up and tried to get her legs looking better. I was amazed at how patient my dog was--she was such a good girl, I was so thankful she was used to the shaver from her previous grooming experiences. After the 2nd attempt and a little help from my husband to hold her up and help out in the tough spots she actually looked pretty darn good. Certainly not quite the finesse she's had coming back from the professionals, but she still had that cute fresh haircut look. The blade didn't end up getting very hot either. I mostly used low speed as my dog seemed to notice the noise more when it was on high and low seemed to do the job. Now I'm kind of wondering that instead of getting another 5 skip to maybe get the 5 finish instead to get just a little smoother look--although I don't want it to be too much shorter so still debating that one. So just wanted to say thanks. Your advice really helped and it was fun and gratifying to clip her myself. Also, after doing it myself I have renewed appreciation for the skills of professional groomers, they do such a great job--and in such a short time! Thanks again! 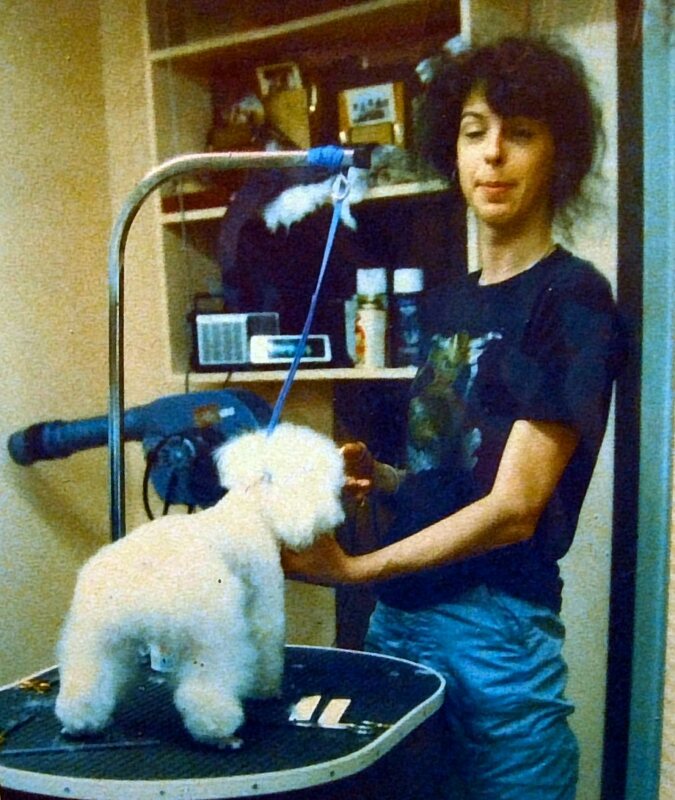 Annmarie, you can use a less heavy duty clipper for a poodle with fine hair, but the real downfall is that most of these models (marketed specifically to pet owners through places like Petco) do not have interchangeable blades. 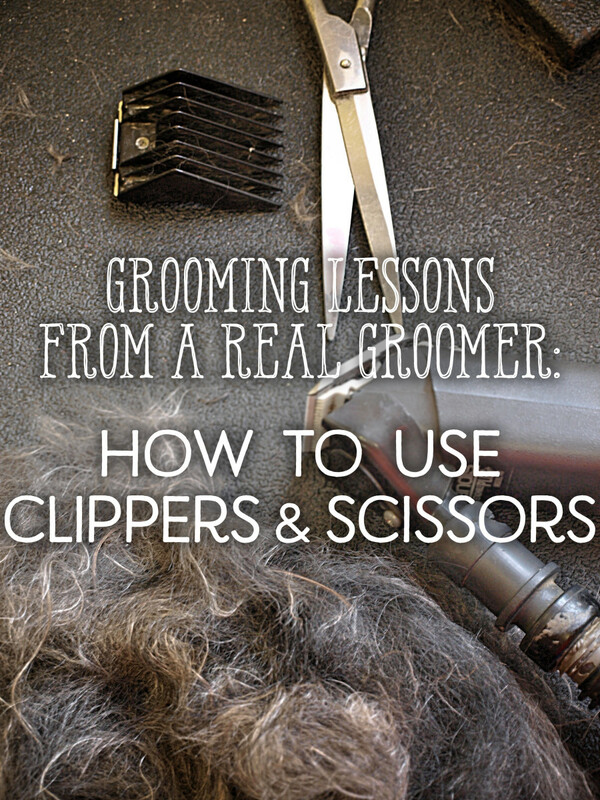 Therefore, if the blade goes dull, you can't sharpen it, and you also have to rely on combs for a longer length, which can be frustrating unless your dog is perfectly combed out. The combs often get stuck on a matt and yank off of the clipper head, and then you end up cutting a huge super short gash in areas you were trying to leave the hair longer. Again, you do have choices with a fine haired dog like a poodle, but I like to stress that in grooming tools, you "get what you pay for". Glad you are going to try it, good luck, you can do it! 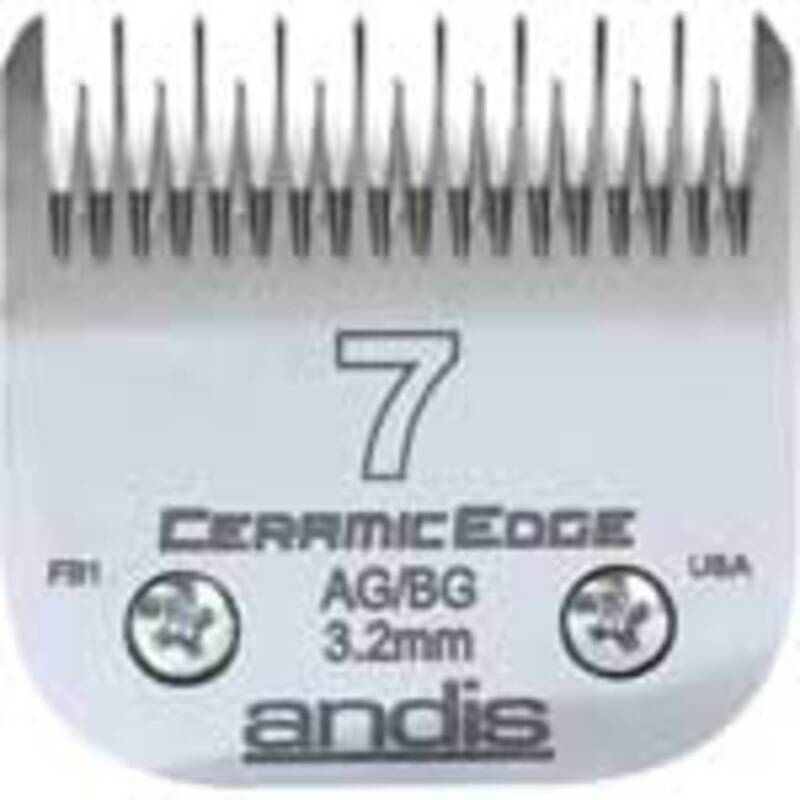 I have used the Andis AG Super 2 speed for years and love it. I almost always use it on high because I didn't see the point of using the lower speed when it was capable of more. You can buy the Plus+ model, that should work fine for your dog, let's say versus a chow-chow where you really need more power! Faster does equal smoother, but is mostly noticeable when the coat is thick. I just looked at the site again, and they have a good prices with the included #10, and a free #7FC included with your order! Don't waste money on combs, they will only frustrate you...they frustrate me, and I would just rather do a scissor cut all over than use them. If I do use them its just to knock down a long fuzzy coat, and then scissor the rest to an even finish. Oh, while I'm at it, stay away from ceramic blades. They aren't worth the money because they break easily if dropped, do go dull quickly, and most blade sharpening guys can't sharpen them!! You should only have to sharpen blades about once a year when using them for only one dog, but any blade that is making track marks that is not clearing up after spraying with Cool Lube probably needs to be sharpened. For sharpening services, call grooming shops in your area and ask them who they use. If they have a regular guy, most nice groomers will let you know what day their guy is coming and allow you to bring your blades in to be sharpened. 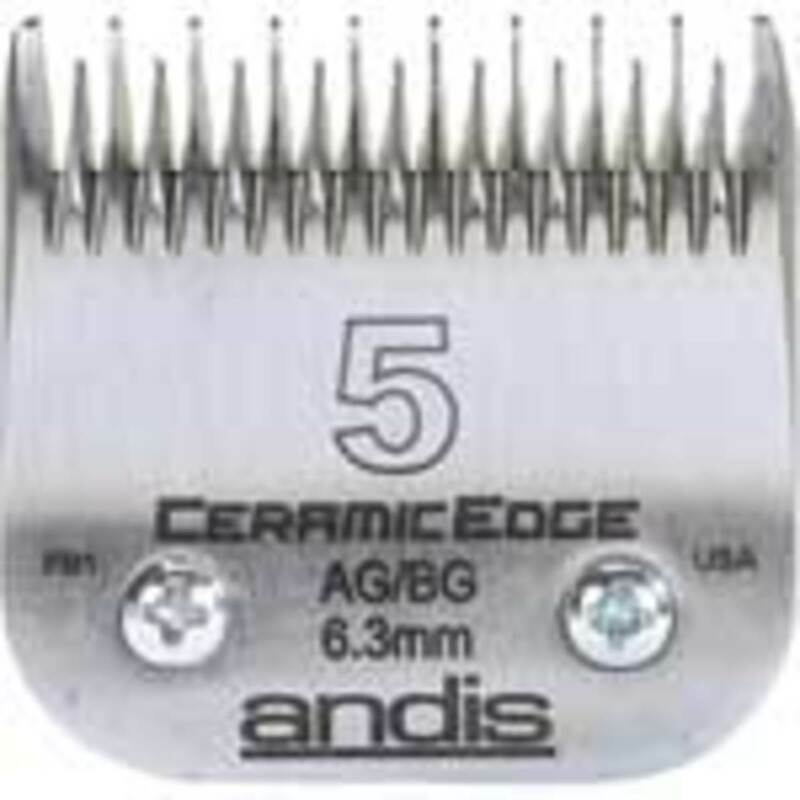 Blade sharpening ranges about $5-7 per blade. Scissors are usually done for between $7-12 each (curved scissors are on the more expensive side of this range). I'm happy you found all of this helpful. Gotta go, good luck! Hello! Thank you so much for your reply, I really appreciate your time and expertise! So a couple more questions... I went to petedge.com and saw that their prices are comparable or better than Amazon--so thanks for the tip. 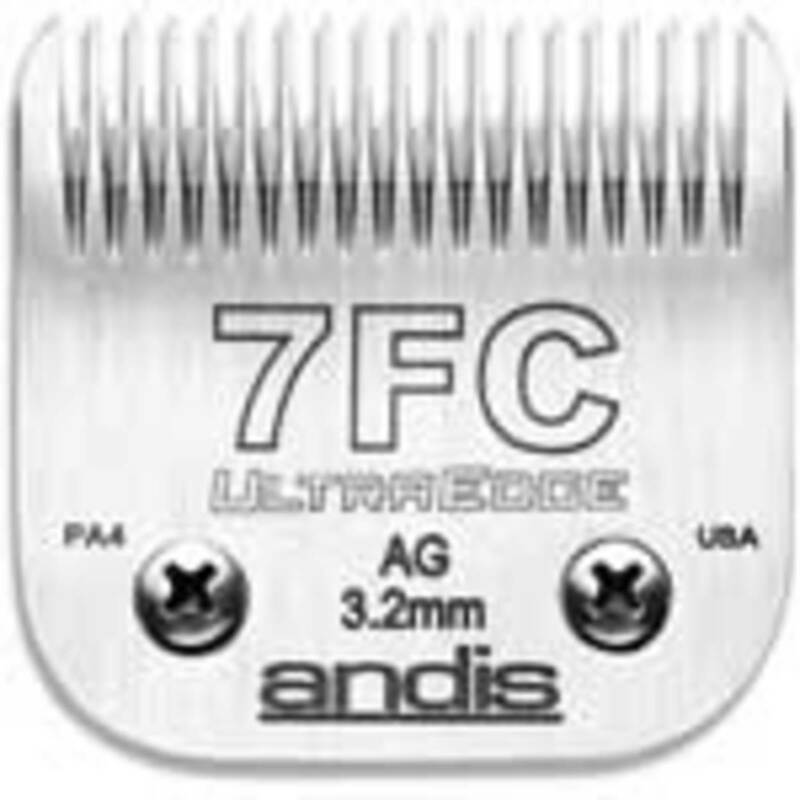 In looking at my options I'm thinking a two-speed clipper would be better for a double-coated dog? I'm also wondering about the importance of "strokes per minute." 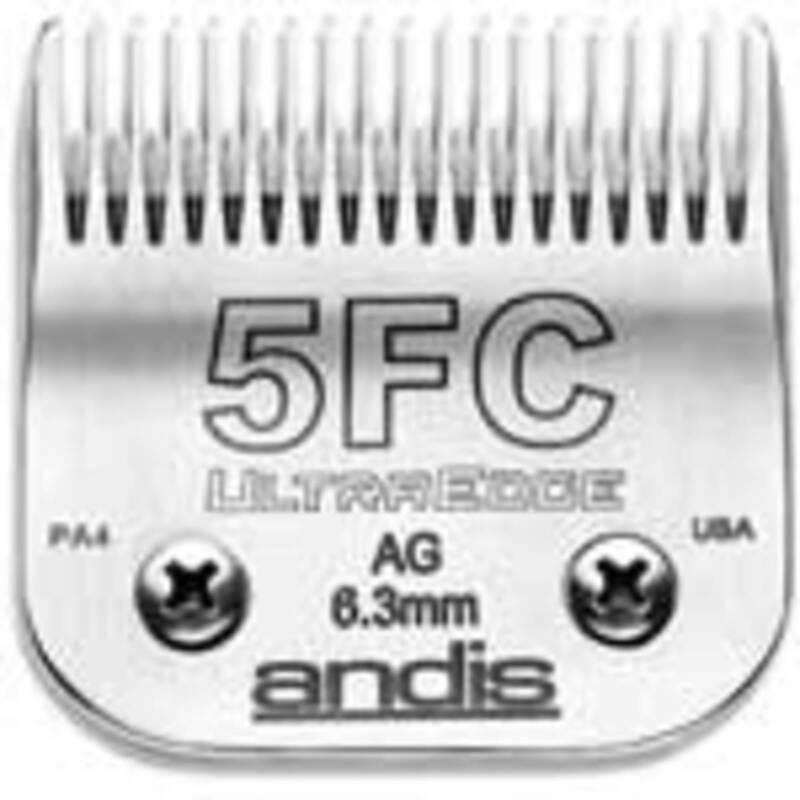 I looked at two Andis clippers similarly priced with strokes per minute at 2600-3400. Then there were two others (Ultra Edge and Super 2) that were 3400-4400spm but they were about $20-30 more ($146). Is it worth the extra money to buy the higher spm with my Eskie? I read the faster blade, the smoother the finish, but I also read some reviews on Amazon about these higher spm models getting hot very quickly... so my head is spinning! 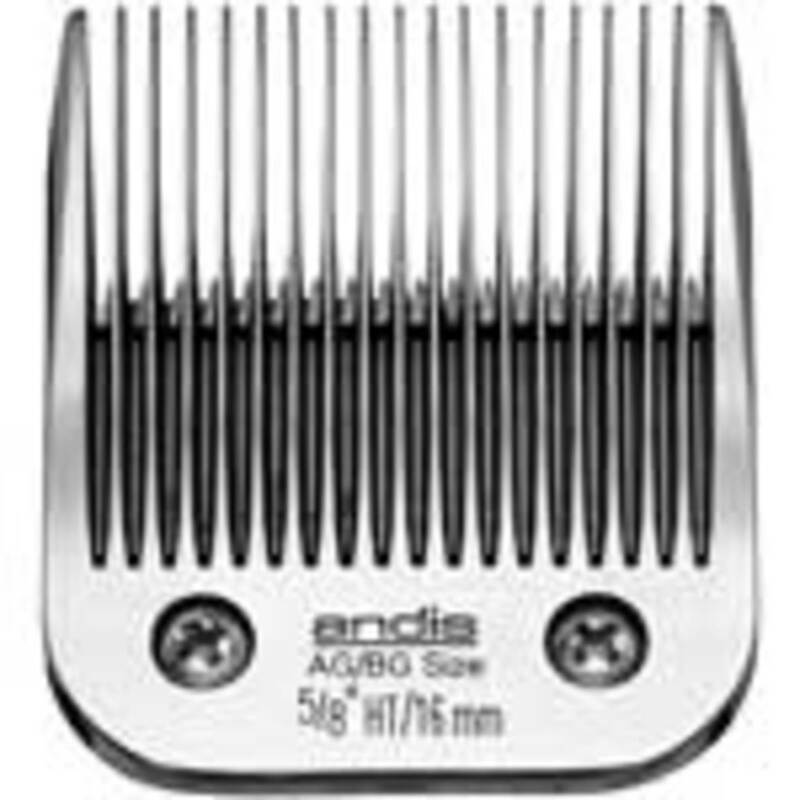 I guess if I bought the less expensive model (Andis + AG) I could spend some of my savings on extra blades and cooling spray. :) Which reminds me, should I get any comb attachments or anything else? Thanks again for your time and also for your explanation about trying a #6 blade with her coat. when my dogs hair was to short to put up i used clear mascara. you could try using a little vaseline on your fingertip to rub into the hair and use it like a gel to keep the hair laying down in front of the eyes until its long enough to pull up. Good luck! hey ya jus noticed your website. i was jus wondering if i cud get some advice? i have a 7month old shih tzu when she was a few wks old i got her shaved but now i wanna leave her hair grow. its going in her eyes but the hair isn long enough to tie back. is there anthing else i could do instead of cutting it?